Route 66 - I Say Ding Dong Shop - Buy Stickers, Decals & Unique Automobilia. 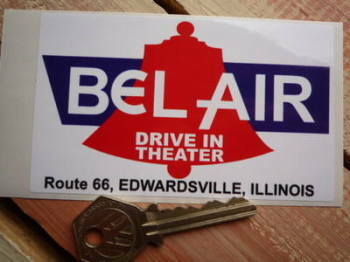 Bel Air Drive In Theater Route 66 Ilinois Sticker. 4.25". 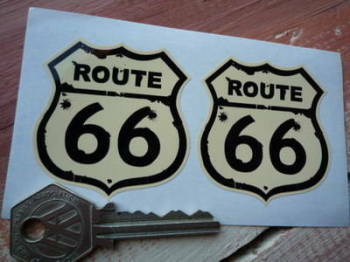 Route 66 Black & Cream Stickers. 2" or 3.5" Pair. Route 66 Black & Off White Window Sticker. 3" or 4". 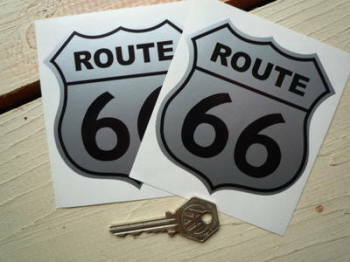 Route 66 Black & Silver Stickers. 3.5" Pair. 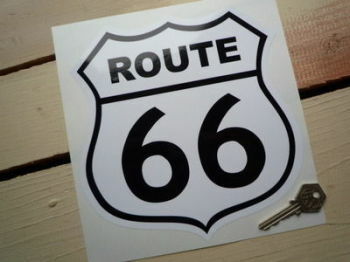 Route 66 Black & White Sticker. 7.5". 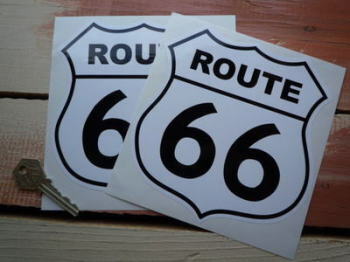 Route 66 Black & White Stickers. 6" Pair. 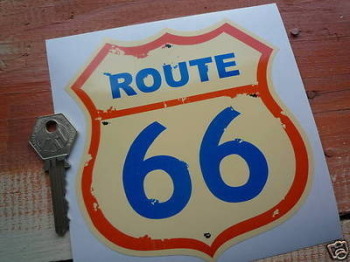 Route 66 Blue, Cream & Orange Sticker. 5". Route 66 Bullet Hole Stickers. 2" Pair. 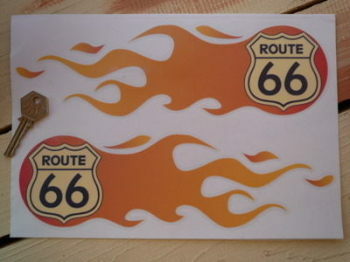 Route 66 Flames Stickers. 6" or 11" Pair. 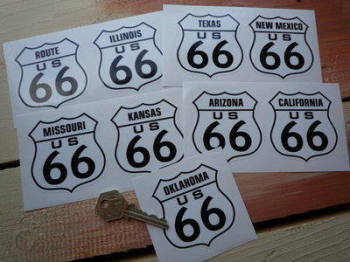 Route 66 Full State Set of 10 Stickers. 6". 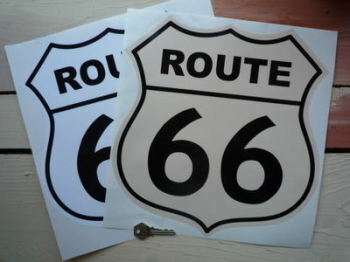 Route 66 Full State Set of 9 Stickers. 2.5". Route 66 Gas Man Attendant Sticker. 16". Route 66 Gas Man Attendant Sticker. 6". 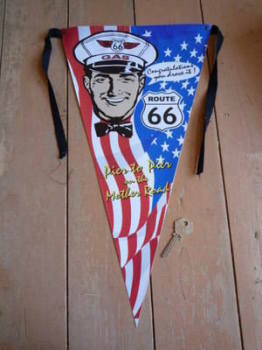 Route 66 Gas Man Banner Pennant. 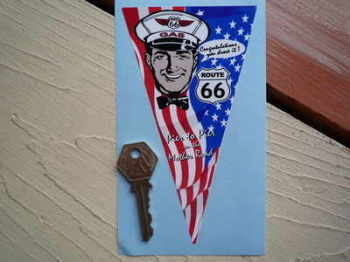 Route 66 Gas Man Pennant Sticker. 6". Route 66 Have a Good Trip Map Large A4 Document Holder/Toolbag. 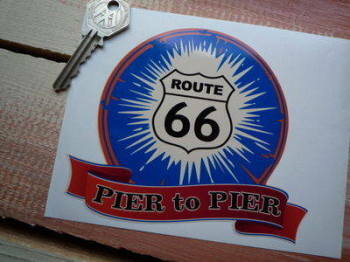 Route 66 Pier to Pier Bumper Sticker. 5". 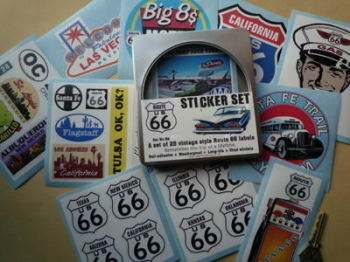 Route 66 Set of 25 Stickers in Gift Tin. 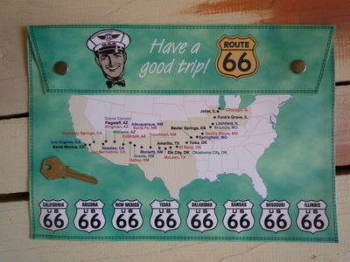 Route 66 Shield Sticker. 12". Route 66 Shield Style Laser Cut Magnet. 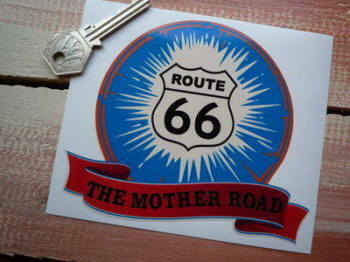 1" or 2"
Route 66 The Mother Road Bumper Sticker. 5". 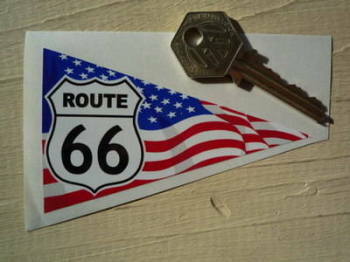 Route 66 Travel Pennant Sticker. 4".